MOOSIC, Pa. (Sept. 12, 2018) - The Scranton/Wilkes-Barre RailRiders fell to the Durham Bulls 5-2 on Wednesday night at PNC Field. The best-of-five Governors' Cup Finals is now tied a 1-1 after the RailRiders were victorious in Tuesday's series opener. Durham took the lead two batters into the game when Nestor Cortes walked Kean Wong and allowed a two-run home run to Rob Refsnyder. Cortes settled down from there and allowed only one more hit in his 6.0 innings of work. The southpaw struck out six batters on the night, including Refsnyder in the third to cap an epic 17-pitch battle. Austin Pruitt was even stronger on the mound for the Bulls on Wednesday night, hurling 6.0 shutout frames despite several threats from the RailRiders. 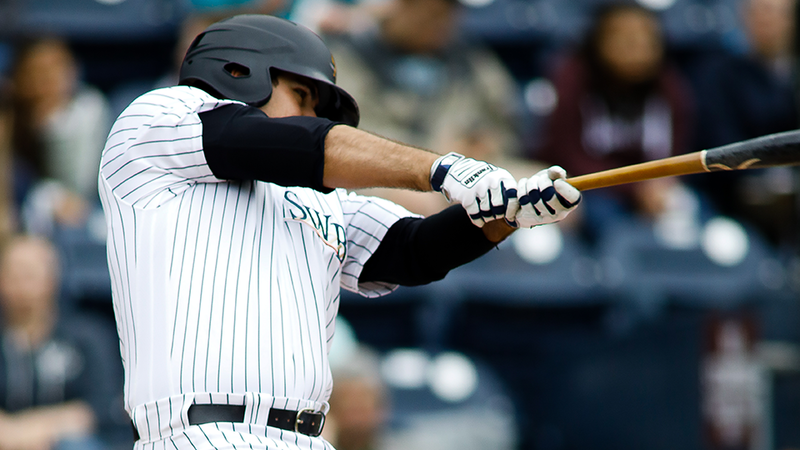 SWB pushed runners into scoring position in the first and fifth innings, but Pruitt didn't break and allow a run. In the top of the seventh the Bulls added a run against Brady Lail to extend their lead to 3-0. With two outs Jason Coats tripled to right center and scored on an infield single from Jake Cronenworth. The righty reliever worked around a leadoff single in the eighth to toss a scoreless frame to cap his night. The Bulls tacked on two more runs in the top of the ninth inning when Nate Lowe took Cale Coshow deep for a two-run home run to extend a 5-0 advantage. In the bottom of the ninth Giovanny Urshela doubled and scored on a two-run home run from Mike Ford, but Colin Poche hung on to close out the 5-2 Durham victory. RailRiders pitchers struck out 11 Bulls batters in the contest, and four of the five hits collected by SWB batters were extra-base hits. Poche earned a save with three innings of work out of the bullpen, his first of the postseason. Urshela finished the night 2-for-4 with two doubles and a run scored. Scranton/Wilkes-Barre continues the best-of-five Governors' Cup Championship Series with Durham Thursday night at PNC Field. First pitch is scheduled for 6:35 p.m. The RailRiders send RHP Mike King (0-0, 2.70) to the mound, while the Bulls will counter with RHP Chih-Wei Hu (1-0, 3.60). 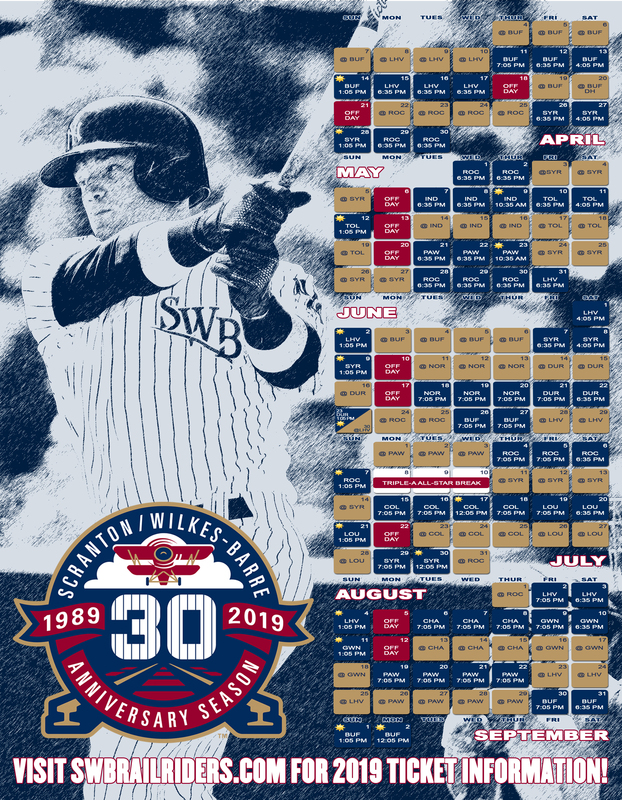 For tickets and more information call (570) 969-BALL or slide to www.swbrailriders.com/tickets.